Need cash and have a gun? You’ve found the right place! Casino Pawn and Guns is proud to pawn guns for cash. With over a decade of buying and selling guns, we’re the Casa Grande gun experts you can trust. 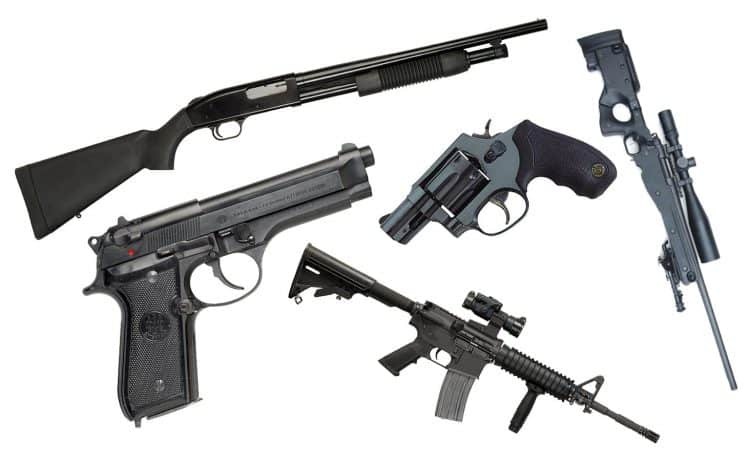 Rifles, handguns, shotguns, or accessories – we’re your guys. Let’s check out how you can get a fast cash gun loan. It all starts when you bring your gun down on to Casino Pawn and Guns. What’s extremely important is that you bring whatever accessories, paperwork, or boxes that came with the gun. This improves the resale value of your gun immensely which helps us loan you even more cash on it. A gun loan is a form of pawn loan which is a form of collateral loan in which the value of your cash loan is based solely on the value of your item at that time. This is why we can ignore factors like credit, and employment, to get you loans. Improving the value of your gun (through having paperwork and original accessories) helps improve the value of your loan. When you arrive at Casino Pawn and Guns, one of our lovely associates will take the gun from you and begin an inspection. What we’re most concerned with is the overall cosmetic condition (scrapes, dents, etc.) and the condition of the internal parts. Assuming it’s all in working order, we’ll lastly go and take a look at what the gun was being bought and sold for over the last six months to a year, and then base our offer off of all this information. Now you get your cash offer, which you should obviously accept because we pay the most in Casa Grande, Eloy, and Maricopa. The best part about our gun loan is that you get cold, hard cash in your hand right that moment. There’s no waiting, no checks, no nonsense – just you and your cash. Throughout the duration of the loan, your gun will sit in our safe, secure storage facility until you’re ready to repay the loan. The gun gets put away the day you visit, and stays there until the day you return. You always have options at the top pawn shop in Casa Grande. Traditionally, according to Arizona state law, each of our gun loans is written out for a period of 90 days. You’re more than welcome to come and pay off the loan at any point during this period, you would just pay the accrued interest up to that point. Come the end of the 90-day term you have two options. Casino Pawn and Guns is not in the business of repossessing items and, given this, if you do not have the cash to repay the loan at the end of this term, we’re happy to rewrite it for another 90 days so long as you pay off the interest accrued up to that point. Otherwise, all you owe up to this point is the principal and interest and we’ll return your gun to you in the exact same condition you left it! If you’d like a free quote on a gun you own in Casa Grande, Eloy, or Maricopa, come and visit Casino Pawn and Guns and pawn your gun for cash today!